North Belfast Harriers pair John Black and Gladys Ganiel O’Neill crowned NI & Ulster HM Champions! On Wednesday 21st June 2017, Freddy Sittuk (Raheny Shamrock AC), Gladys Ganiel O’Neill (North Belfast Harriers), James Edgar (City of Lisburn AC) and Donna Mone (Monaghan Town Runners) led the way as scorching conditions greeted a record number of over 6,000 athletes at the annual Run Lisburn Half Marathon, 10k and 3k races. 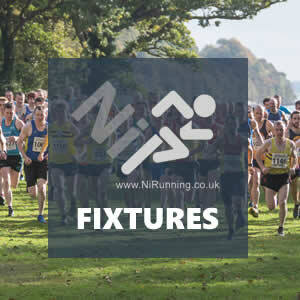 The 13.1 mile event also incorporated the prestigious NI & Ulster Half Marathon Championships and is part of the ongoing Pure Running Half Marathon Series, while the 10k is part of the Novosco 10k Grand Prix. Raheny Shamrock AC’s Freddy Sittuk led the half marathon field home in 1:11:35 (1st place) but in truth, it was North Belfast Harriers duo John Black and Gladys Ganiel O’Neill who will deservedly claim the half marathon headlines – John took 2nd place overall, securing the NI & Ulster Half Marathon title in 1:12:19, while Gladys won the ladies race outright in 1:20:15 and with it, picked up Championship gold. Belfast based John battled well from the off – for much of the race he was in pursuit of club mate Mark McKinstry, who in turn, was chasing leader Freddy. However, when Mark withdrew from the race close to the 10 mile mark, the ever improving John rose to the challenge, pushing the pace to cement his status as NI & Ulster Half Marathon Champion. He crossed the line exhausted, crumbling to his knees, but having achieved his place in the history books with an excellent performance. Victoria Park & Connswater AC athlete John Craig produced the run of his life to take 3rd place and NI & Ulster silver in 1:14:04. 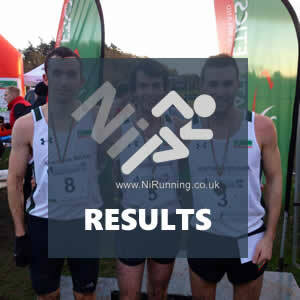 Neill Weir (Willowfield Harriers) crossed the line in 1:14:13 for 4th place overall and 3rd place on the local podium. Commonwealth Games star Gladys looked a class act in the ladies race, leading through half way and further increasing her lead in the second half, before breaking the tape in 1:20:15 (1st place). Willowfield Harriers’ Amy Bulman was rewarded for her efforts with a Championship silver medal after clocking 1:22:12 for 2nd place, before Scotland North District 10k Champion Jenny Bannerman (Inverness AC) completed the podium in 1:25:25. Louise Smith (North Belfast Harriers) was the next local athlete to finish, crossing the line in 1:26:04 for 4th place overall and 3rd place in the NI & Ulster Championship race. In the men’s team competition, North Belfast Harriers took 1st place, with Victoria Park & Connswater AC claiming 2nd place. Willowfield Harriers completed the top three teams in 3rd place. In the associated 10k race, recently crowned NI & Ulster Senior 5,000m Champion James Edgar (City of Lisburn AC) celebrated his first competitive outing over 10k with a win; James broke the tape in 32:49 (1st place). Chris Madden (City of Lisburn AC) and Andrew Annett (North Belfast Harriers) recorded 32:54 (2nd place) and 33:03 (3rd place) respectively. 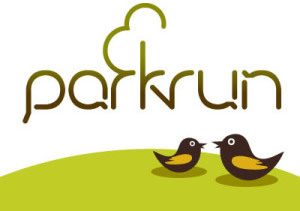 James Edgar impresses with win at Run Lisburn 10k! DTC's Conan McCaughey and Marina Murphy excel at St Joseph's 5k!